Pod-drive for large cruisers and sport boats. The definitive joystick control system. If the pod drive strikes debris, rear-facing propellers are protected by the pod gearcase and skeg. Additionally, by mounting the Zeus pod in a tunnel, the torpedo on the drive is the same depth as the keel. Most floating objects will be deflected downward by the keel and skeg away from the propellers. Should the unit come into contact with a substantial object, the skeg is designed to shear below the torpedo, minimizing damage to the drive and costly repair bills. By offering a rear-facing pod drive mounted in a tunnel, we offer tremendous efficiency improvements without sacrificing safety. Never worry again about wind and current when you approach the dock. 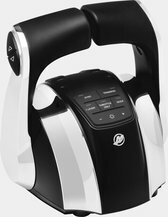 Our advanced joystick control system is incredibly intuitive and can be operated with a simple turn of the wrist. 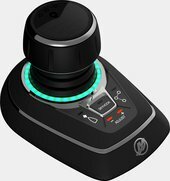 One hand controls it all, from sideways tracking, to spinning on a dime, to precise speed control. Whether at the dock or backing down on a blue marlin, the total authority and maneuverability is simply unmatched. An Unparalleled Level of Control. Zeus pods are independently steerable. The full force of each pod’s thrust is directed independently to achieve much greater efficiency in maneuvering. Zeus pods create horizontal thrust. 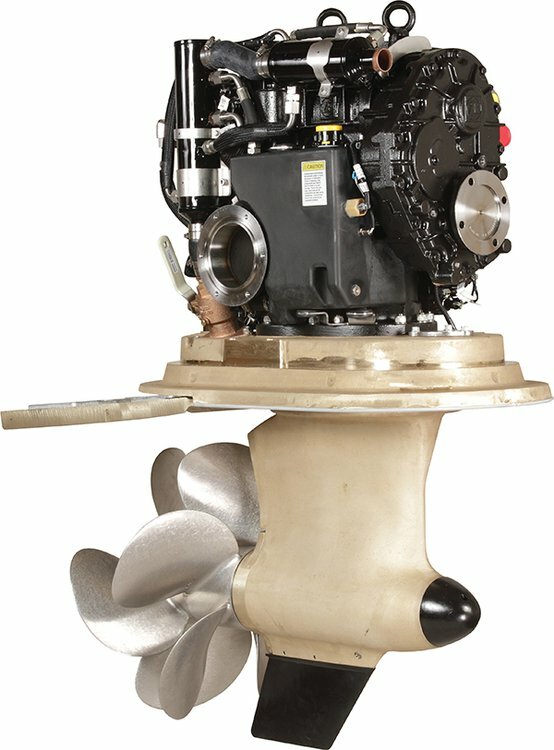 The full power of the engines is used to drive the boat forward, unlike standard inboard shafts that push the boat upward. The hydrodynamic shape of the Zeus pod creates much less drag than a shaft, strut, and rudder. By placing the propellers in the rear, we experience less form drag. Counter-rotating propellers eliminate rotational losses, produce no side forces, and minimize cavitation. Additionally, increased blade area allows for larger gear ratios. Over the years, pod drives have delivered impressive performance with both forward-facing and rear-facing propellers. Which type of propeller is more efficient? Forward-facing propellers are exposed to undisturbed water, which can improve efficiency; however, these propellers increase form drag, created by friction from water flowing across the pod-so the faster the flow of water, the more drag occurs. Rear-facing propellers create less form drag. This tradeoff between propeller efficiency and increased form drag results in both types of propellers having nearly identical efficiency. Our real gains in efficiency over traditional inboards result from a decrease in overall drag, the creation of horizontal thrust, and the use of counter-rotating propellers. Our results are impressive: 15% faster top speed, 15% faster cruise speed, and dramatic 30% improvement in fuel economy. Clean, Quiet and More Comfortable. 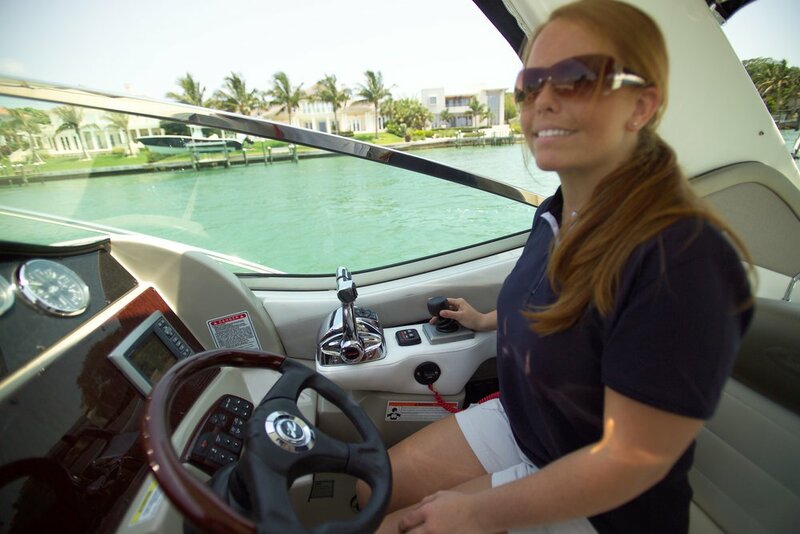 Because Zeus drives utilize counterrotating propellers and are mounted on large rubber grommets, gear noise and vibration are significantly reduced for a quiet and comfortable ride. Exhaust is nearly eliminated by venting the emission through the propeller hubs where the water flow takes it far back into the wake. Link to other onboard digital systems. Compatible with Mercury-exclusive SmartCraft® digital technology, one fully integrated digital control and information package. 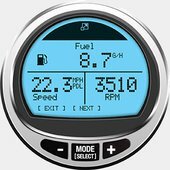 Smooth, responsive Digital Throttle & Shift (DTS), Skyhook® digital anchoring, Integrated Autopilot navigation system, VesselView® 4 or 7 information display. You. Turning on a dime. Side-to-side, diagonal and spinning on a single axis. All with a simple push or twist of the joystick. Smooth, incremental low-speed control. Both throttle and steering. 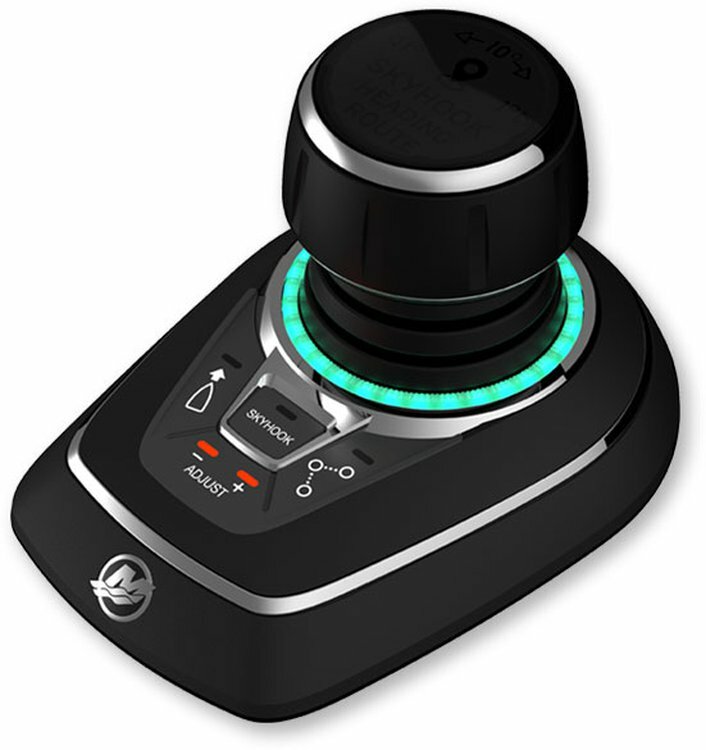 Superior to bow thrusters, which can drain your battery and leave you stranded - Zeus Joystick Piloting for Pods is integrated with the pod drives, without relying on battery power. Controlling wind, waves and current. Instead of fighting them. Confidence and control, even for novices. No stress on captain or crew. Dual-helm capability for dual, triple or quad pod engines.